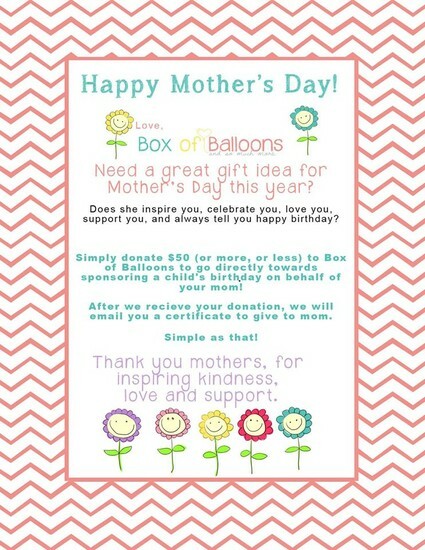 Click Here to Honor your MOM! 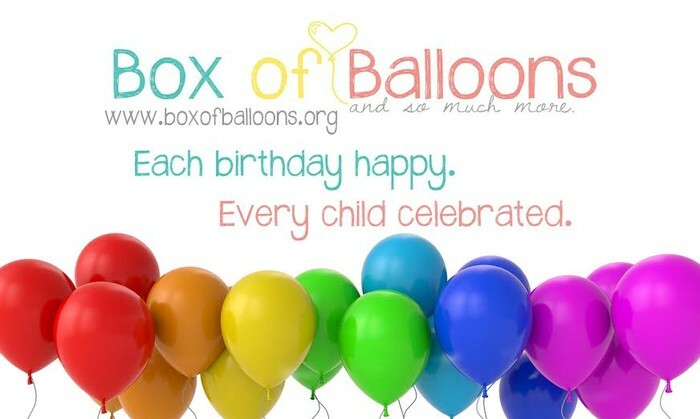 Wisconsin teams, have you RSVP'd for our Box of Balloons Night yet??? NO, well why not! Let me paint a picture of the evening for you...we will gather in the Sun Prairie elementary school that we fill and deliver 10-12 birthday boxes to each month, you will get a feel for the school and be able to have a picture in your mind. Next we will eat dinner together, enjoy food and conversation. After our belly is full we will decorate boxes, put together some DIY decor, sort supplies and fill 8 birthday boxes for 8 very deserving children. You can stop by our dessert table, enjoy a cupcake or a handful of colorful candy and purchase a Box of Balloons t-shirt if you would like. AND best yet, we have invited the 8 children and their families to join us so we may even get to meet the people we are giving happy birthday to. Now why wouldn't you come? I can't think of one either, of course you will come! Bring a friend or neighbor too. As much as I love the behind the scenes aspect of our organization and how simple it is for us all to love others, it is extremely important to meet and celebrate together face to face once in a while!